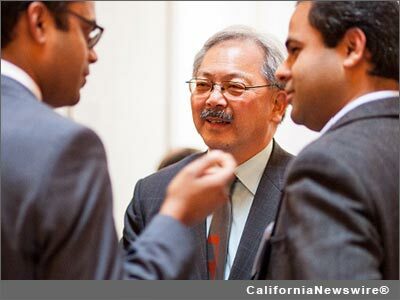 SAN FRANCISCO, Calif. /California Newswire/ — On Friday, S.F. Mayor Edwin M. Lee and City Administrator Naomi M. Kelly today announced the appointment of Carrie Bishop to serve as San Francisco’s first Chief Digital Services Officer. Creation of this new role is part of San Francisco’s recently adopted Digital Services Strategy. Ms. Bishop’s focus will be on improving the experience of San Francisco’s residents, businesses and visitors as they access city government for information and services. “I am passionate about public services designed around the people that use them and am looking forward to helping the citizens of San Francisco access world class digital services” said Bishop. She has been fortunate to work with governments around the world, including in Australia and Eastern Europe, to help deliver digital public services. Ms. Bishop started her career working in city government in London, at the London Borough of Barnet, and briefly at Capita Consulting. Frustrated with cities’ lack of technology and excited by the early potential of the web, she joined forces with a colleague and together they built FutureGov, working with city governments in the UK and beyond to help them digitize public services. She has experience of large scale change in the public sector and has delivered contracts for the UK’s Government Digital Service, which is regarded as a world leader.